It is a beautiful day as you can see for those of you that are watching the video, and for those of you who can hear through the audio. It’s a gorgeous, sunny day in South Surrey on the edges of Vancouver in Canada. I’m down by the duck pond backing onto a golf course which is a lovely bit sitting on a rock. What more could you ask for? So, I like being outside. You can hear the birds tweeting. Actually, these duck ponds – I’m quite impressed. There’s four duck ponds around here. At the moment they’ve got some little cutie babies. They’re pretty cool. There’s no crocodiles or alligators in Canada as far as I know so they’re quite safe. But it all looks nice. So, back to the book thing. 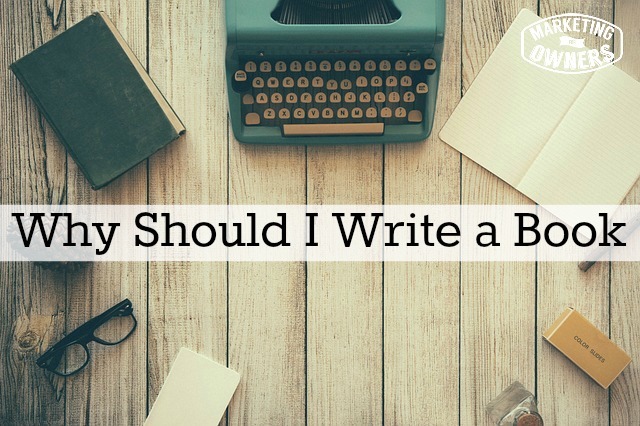 Why write a book? It’s a good question. But wherever I am going somewhere or researching online, I see that lots and lots and lots of people want to write a book. Everyone seemingly has a book inside them. So why not you? And what could it be about? Well, in our case, we’re talking about marketing. We’re talking about building your business, building your brand, building your you. If you see people come on stage and they give a quick bio and they say “and writer of seven New York Times bestselling books”. It’s actually quite easy or easier than you would think to get to be a bestseller on the New York Times list. So that’s the reason for writing a book. Now the other good thing is it’s quite easy to publish these days. You can self-publish. Amazon has a system. It’s fabulous. You can print one-offs, you can print loads. Then you keep all the money for you. There are numerous self-publishing formats. They’re growing more and more, becoming more popular as people get control of their own thing. I’ve see authors go on Kickstarter and start up a campaign and raise a ton of money — much more than they’d earn from selling the book for a publisher. Because obviously the publisher takes the biggest portion. They may give you an advance. What if it doesn’t work out? So get control. You can self-publish on Amazon on the Kindle platform very cheaply. But please don’t just try out some spammy thing like everyone’s doing at the moment. That’s not what I’m talking about. To write a book, there is support. I’ve got a couple of websites that guide you through, that make it easier and you’re in a community with other people who’ve done it, who help you, who will support you. Now one is called National Novel Writing Month. Now this is a site that does this every year. Hundreds and thousands of people take part. This runs in November from the 1st to 30th. The aim is before midnight on the 30th of November to have written 50,000 words. So it’s about 16,070 words a day. It is not as hard as you think. If you want to do it, if you’re determined, you can do it. Of course you don’t have to write it in a month. But why not? Knock it out. Get it out of the way. Give it a go. What can go wrong? It doesn’t have to be a novel either. The other site is Infopreneur Book Month. Now this is really linked to reginabyregina.com. She’s great. So that may be more keen if you’re writing for a marketing book. The free thing guides you along. I advise that you, at some point in your life, try and write a book. You don’t have to tell anyone. You can bring it out or you can tell people to give yourself some action drivers and some deadlines. Go for it. Why not? Anyway, being a Monday, it’s time for a book recommendation. I’m recommending this week So Good They Can’t Ignore You. This is by Cal Newport. He’s great. 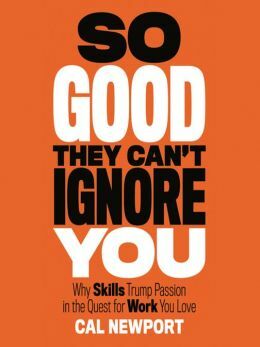 The book states –“Why Skills Trump Passion in the Quest for Work You Love”. What he’s actually trying to say is that if you build your skills, then wait then train, and then learn, learn, learn. You need to get so good, so good that no one can touch you and your people, the people you’re marketing to or trying to approach cannot ignore you because you’ll be so good. It’s a really clever, clever book. It says here, “Don’t do it with passion. Do it with increased skills and beat out the competition.” Good, aye? Anyway, don’t listen to me tell you about it. I read it. I actually really enjoyed it. I was very impressed. I thought it was going to be about something else. But, So Good They Can’t Ignore You does what it says! What book do you have in you?